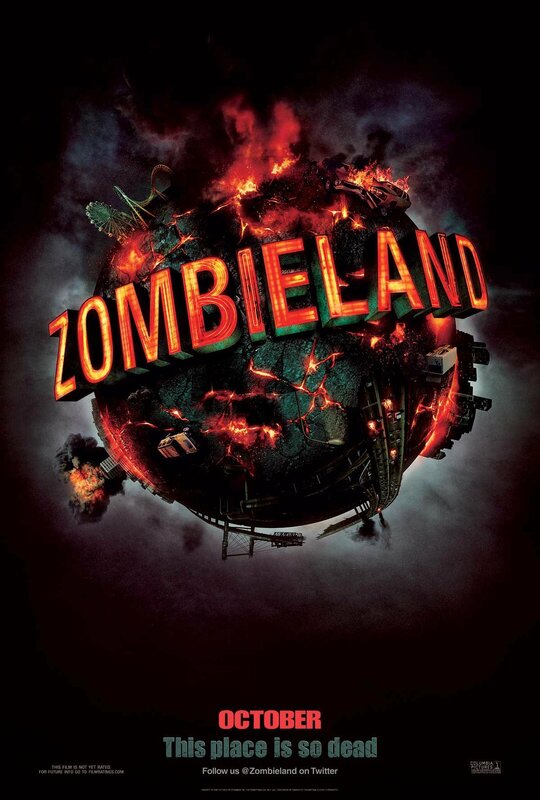 This poster for Zombieland has an abundance of land, but a clear lack of Zombies. I mean, it does a pretty good job of setting a carnival ride feel, of setting the worldwide scope of the threat and it’s a nice teaser image to boot. But it still feels more like Disasterland or Fireland. It needs some dead walking bodies ASAP! Also of interest, prominent use of the Twitter page instead of an url to the official film page. Trend? Fad? Neither?